He looked around to find her. She was behind the curtain. He could see her silhouette in the glow of the lamp. She was fidgeting with the button of her dress. He crept up quietly to the door and locked it. He started walking to where she was, an anxious and eager smile on his face. She put the cushions aside to make some place for him. He took off his slippers by the side of the bed. She filled his glass from the bottle. He looked at what was in front of him, his eyes wide open with excitement. She said “Shhhh” , put a finger on her lips and pulled him down. He lunged at the red packet of chips, his favourite. She could have the yellow! They giggled, and sat down to watch their favorite cartoon on the laptop, with juice and chips. Hidden in the store-room so that mommy couldn’t spot them eating all that junk! 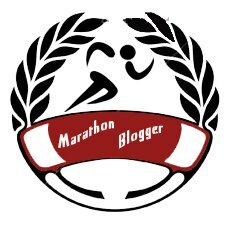 This post is a part of the Blog-a-Prompt week at Marathon Blogging. Today’s prompt is Spicy! ← Where art thou O Monday? Awwwww……. So so so loved it. Too much of a twist ;)..